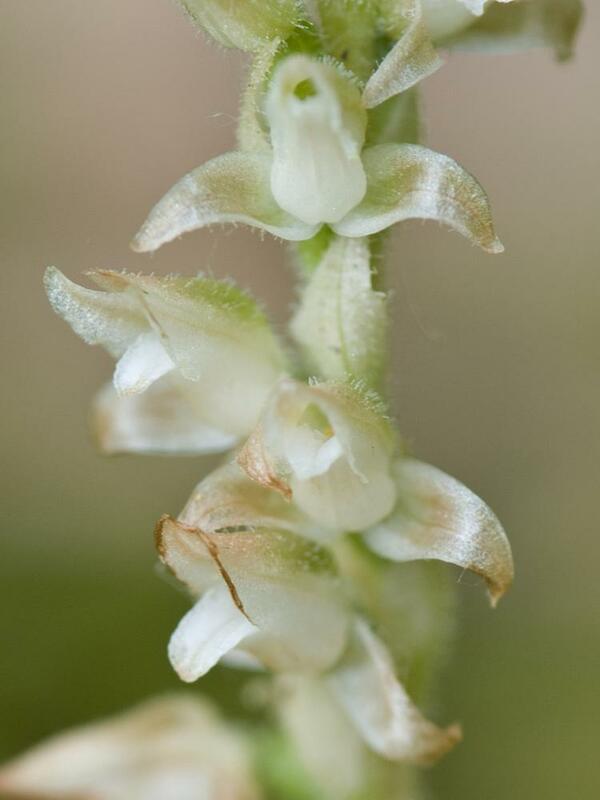 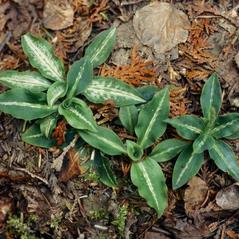 Goodyera oblongifolia, commonly called Giant Rattlesnake Plantain, is a wide-spread orchid with a disjunct distribution in the northeastern United States and Canada, southeast Alaska, the Great Lakes region, and in the western United States, and Mexico. 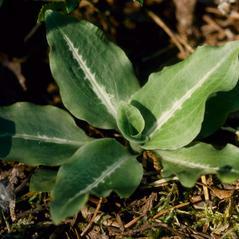 It produces 3 to 7 blue-green basal leaves which form a rosette, and have a prominent white stripe down the middle. 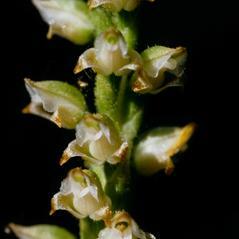 When flowering in late summer or early fall, up to 48 white (sometimes greenish) flowers form a spiraled inflorescence. 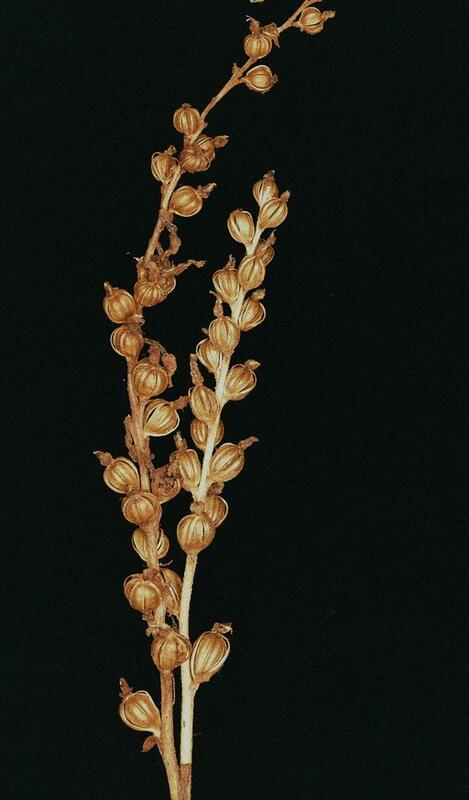 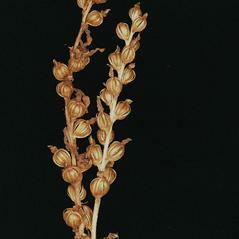 The labellum forms a concave, bowl-like pouch, while the petals form a hood over the column. 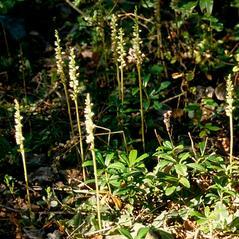 It is found in forests and woodlands, often in mixed coniferous forests. 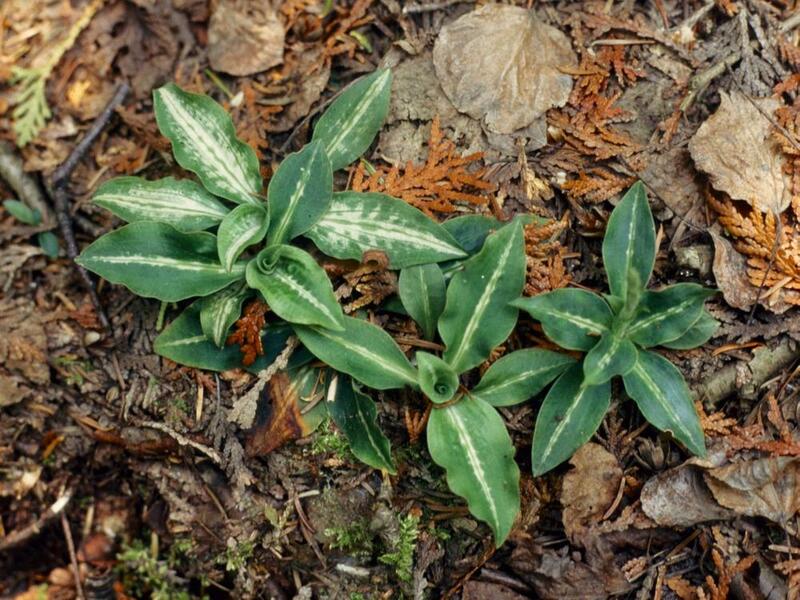 The central white stripe on leaves distinguishes this orchid from Goodyera tesselata. 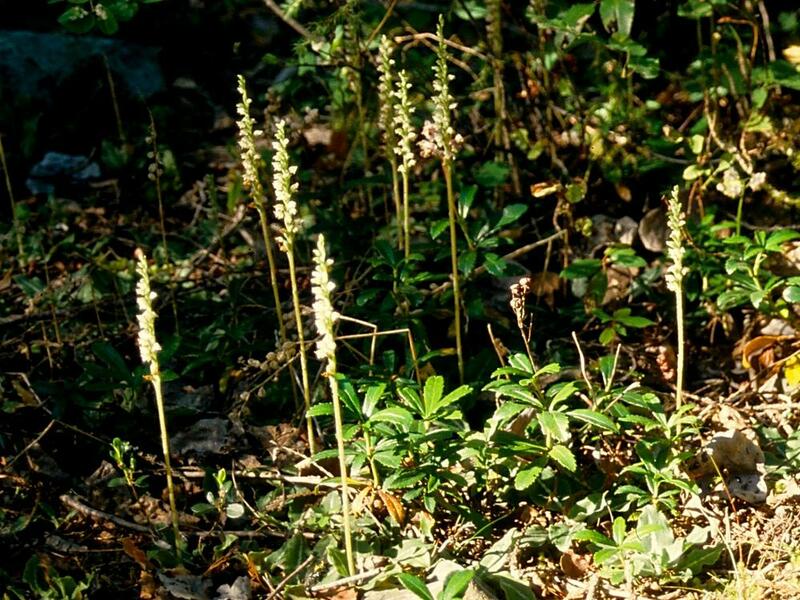 Goodyera oblongifolia is considered globally secure, although it may be rare in parts of New England where timber harvesting is a primary threat. 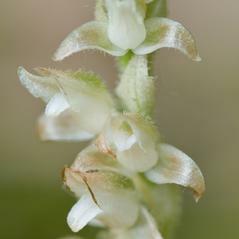 Bumblebees, such as, Bombus mixtus, Bombus occidentalis, Bombus vagans and Bombus vosnesenskii are important pollinators of this orchid as they search for nectar. 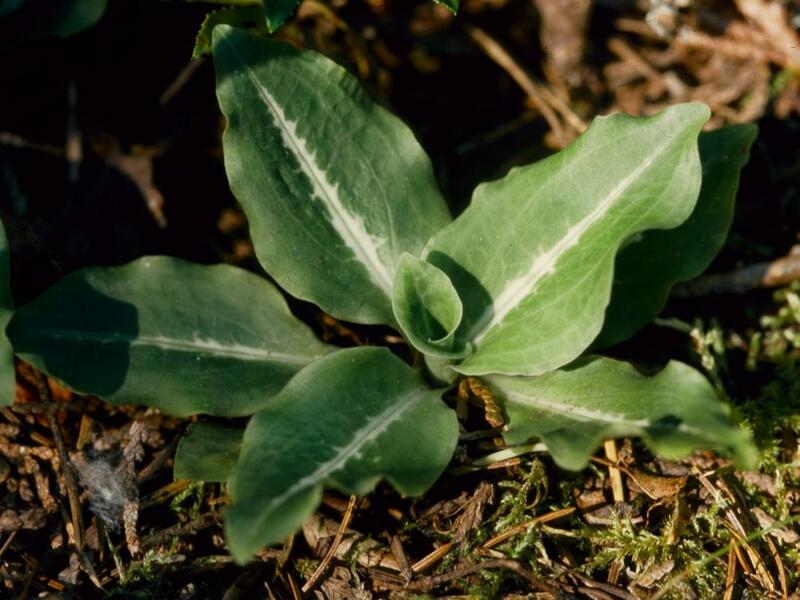 Bees usually work their way from the bottom to the top of a flower spike because flowers at the base of the spike mature first and produce nectar. 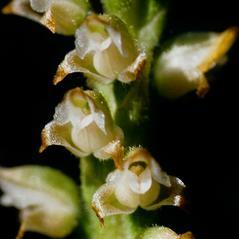 These flowers have exposed stigmas and pollen can be easily transferred from the bees’ proboscis as it probes for nectar. 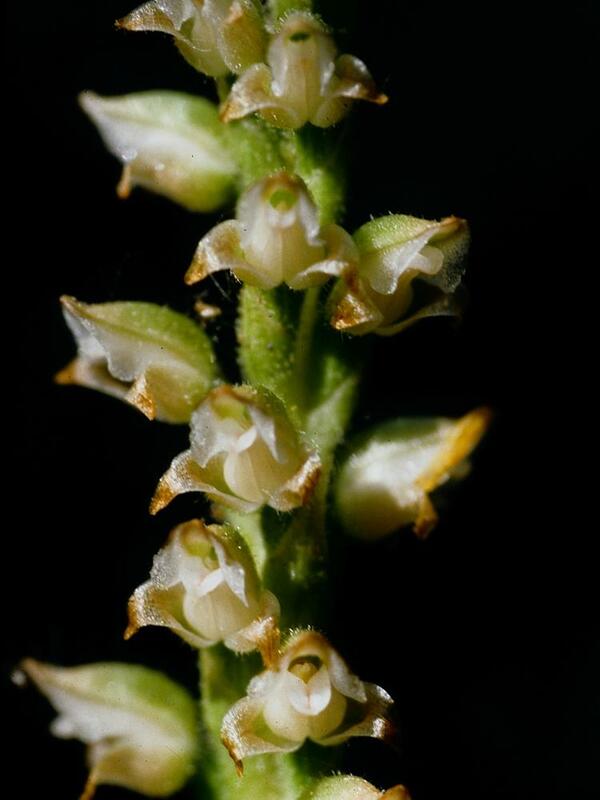 Flowers on the same spike nearer the top produce less nectar and the stigma is not accessible for pollination. 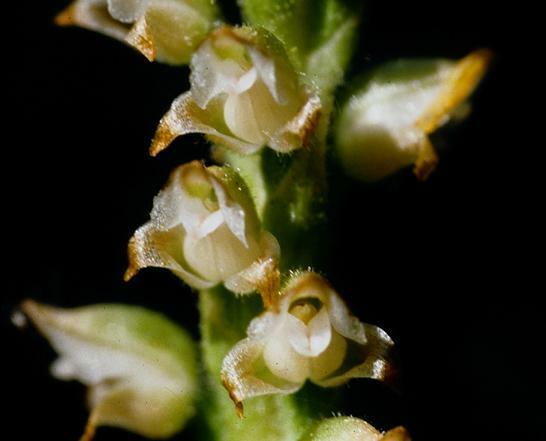 Pollen can still be attached to the proboscis and as the bee gathers nectar from an open flower on another plant, pollen is deposited on the stigma its pollen load, cross-pollinating the flower.